JC - Regarding the interconnects, why the preference for a complex multi-strand architecture rather than a single-strand solid-core structure? Is it a way to give priority to softness and tonal richness at the expense of liveliness? RC - When I work on a new design, I try not to favour anything but to enhance a quite perfect tonal balance without any loss or excess of energy across the whole bandwidth. I understand excess or lack in speed as a result of bandwidth discontinuity which can be highlighted by truncated treble, increased midrange amplitude, excessive bass. All this deals with nonlinearity issues. My goal is a very linear response and, to return to your question, the multi-strand structure we use has been the most balanced of everything we tested over 20 years. The sound quality of our products results from to this architecture but is also the sum of an overall high-quality policy concerning the choice of conductors, dielectric geometry and shield placement as well as the selection and upgrades of high-grade connectors. JC - Is there a difference in the polarisation applied to the interconnects versus speaker cables? And between the various lines like Eureka, Lumina or Aura? RC – Yes, polarisations are not carried out the same way within the various cable types and ranges. Polarisation can be applied fully or partially depending on the needs and characteristics. JC - It is generally accepted that silver conductors are superior to copper. Nevertheless, your entire production is 100% copper despite your obvious market positioning in the high-end segment. How can you defend such an exclusive copper strategy and what level of purity are you using? Are you able to confirm in-house the quality of copper at any given time? RC - For 21 years already, we have used the same copper for its qualities and only changed supplier once after the first 3 years so in addition to the certifications provided, there is a real relationship of trust. We assume it is much more difficult to have this level of QC and supply consistency with silver, which at room temperature is the best known conductor to date. Unfortunately and given our different experiences with silver, we cannot be sure of its consistency in auditions to prefer very high-quality copper which is close to silver in conductivity and far ahead of gold and rhodium which we don’t use. JC - I understand the benefit of having a large speaker cable cross section which helps to reduce its resistance. How do you manage the spurious effects that can result from it like micro discharges between conductors that can influence the impulse response? RC - The asymmetrical dielectric allows different polarisation of each conductor of the speaker cable. We use large diameters in all our cables for a constant dynamic flux regardless of sound pressure level and frequency. The spurious effects due to micro discharges are managed with the asymmetric dielectrics, polarisation and use of bi-material ferrites to offset microwaves. Indeed, the dielectric's asymmetrical structure allows us to get a specific conductor damping that is particularly useful to avoid any residual harshness during our critical listening tests. This typical harshness often results from massive use of the same insulator applied across an entire cable length. JC - What about balanced and unbalanced interconnects? RC - We use entirely different conductive and dielectric structures on these two types. I can only tell you that the strand size is bigger for the XLR cable and that their damping is more important to achieve a very similar sonic result for both balanced and unbalanced cables. 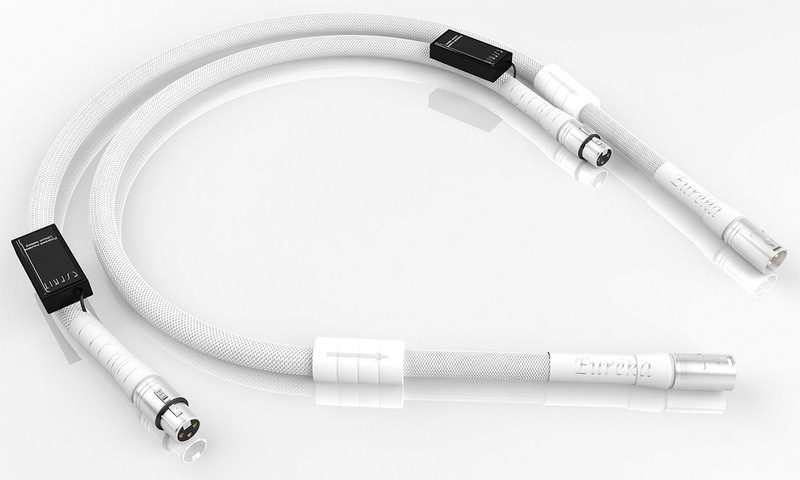 JC - More and more upscale newcomers enter the high-end cable market such as Echole, Bibacor, or Master Built. How do you stand out? RC - Our main difference is our experience. I am fully aware of the expectations some audiophiles have to only get new products with cutting-edge technology. I think that cable manufacture is based more on experience and closer to the food sector than high-tech industry. To remain with haute gastronomy, I have always preferred traditional and sophisticated Bocuse cuisine to the more exotic molecular cuisine. That's why we don't promote any cutting-edge technical marketing arguments which make no sense in my opinion, and why we protect our cooking secrets. Furthermore, it's essential for us to offer long-term reliability to our dealers and end users and not hype trendy aspects which will be shortly replaced by another technological breakthrough or fashion. JC - You opted for active polarisation across your entire Eureka cable set. What made you favour this also for your power cords rather than use a mains filter or more conventional passive shielding? RC - We had already conducted many tests with mains filters but the results confirmed our belief that each component really requires different filtering which is almost impossible to achieve with a simple power cord. 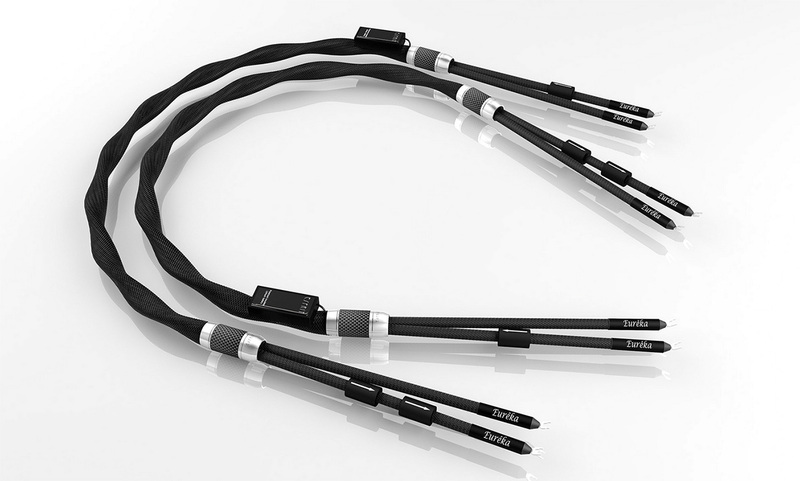 Our power cables are all shielded and designed not to add disturbances through adverse effects of polarisation which unshielded cables can generate. Some of our power cords are polarised for better damping of the cable structure and for a reduction of the previously mentioned micro discharges. JC - Some manufacturers publish very precise data for their cables: capacitance, inductance, resistance. Meanwhile you are relatively discreet about the specs of your cables. Why? RC - First, I am not convinced of the necessity to provide detailed technical data to audiophiles. I understand how this could in some ways be a kind of marketing argument useful to convince potential customers and I am quite sure that I’m amongst the worst marketers in this industry. It doesn't mean that I do not believe or give credit to measurements and technical specifications. But at the same time, measurements don't clearly communicate their impact on the sound quality. Furthermore, it's possible to find very cheap cables with first-class measurements. Will they provide top-notch results? It's a different kettle of fish. What finally matters is the listening result and technical specifications will never replace an audition under real operating conditions. That's why we have always focused on a true retail network and support dealers who are able to organise genuine demoes. In my view, all other considerations deal mainly with advertising.